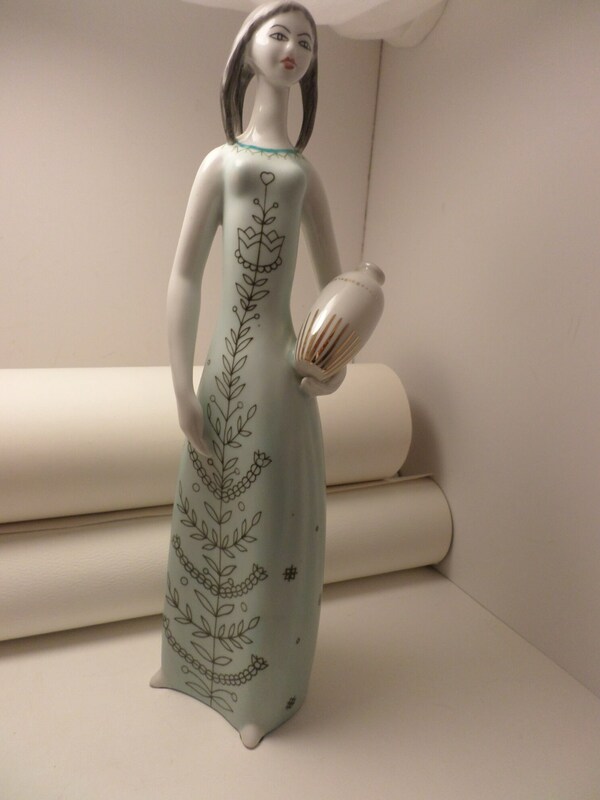 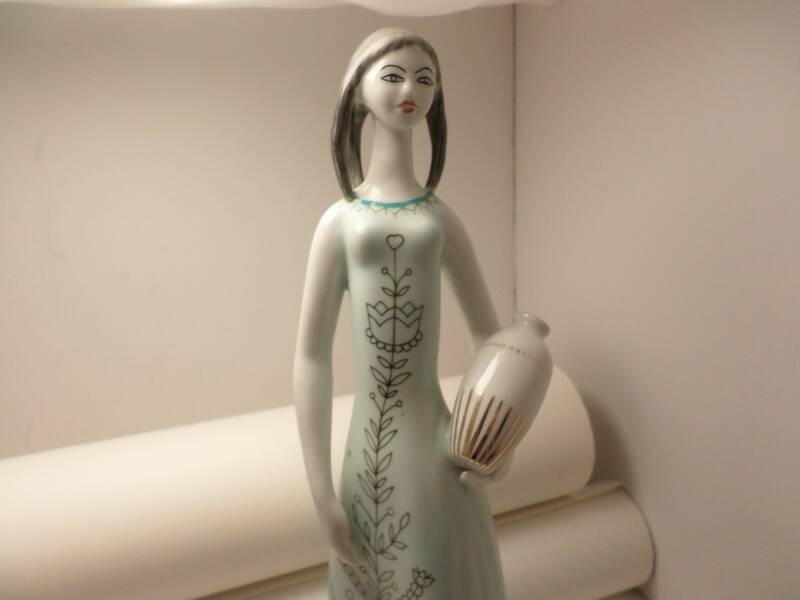 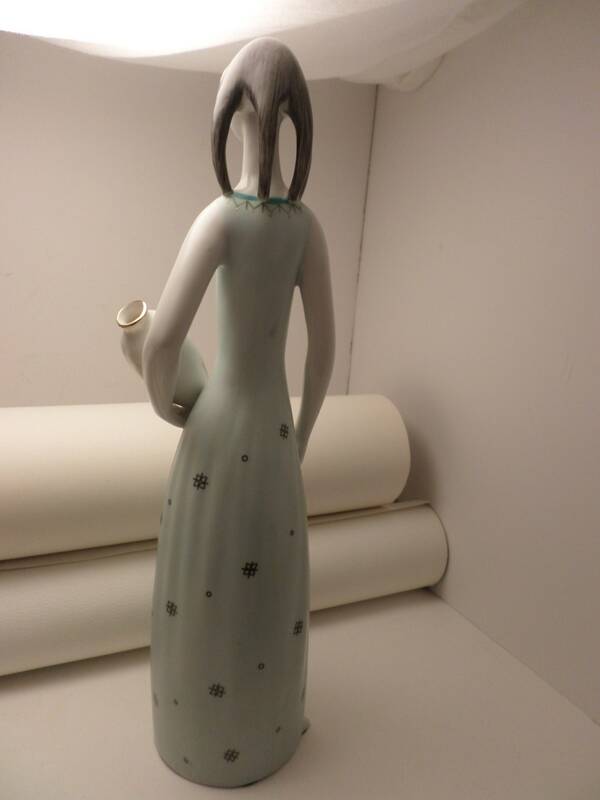 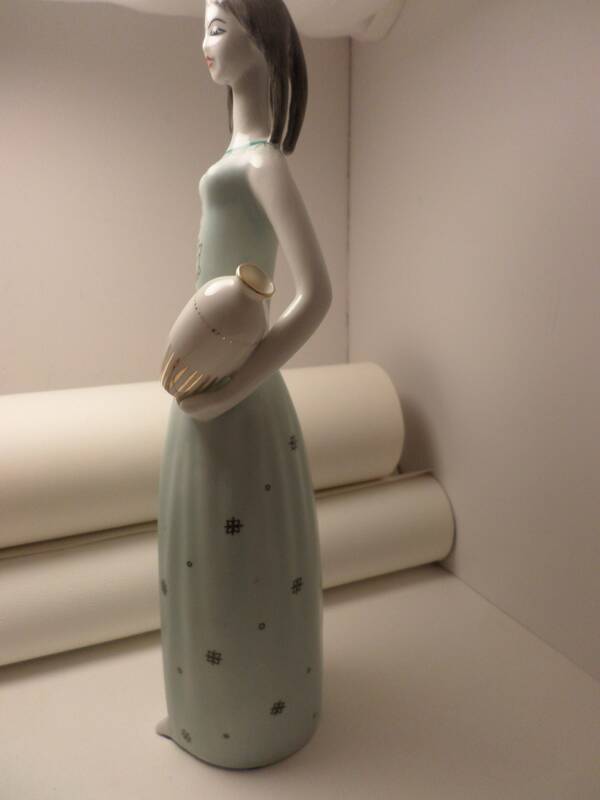 Beautiful Mid-century Modern minimalist style woman holding an urn. 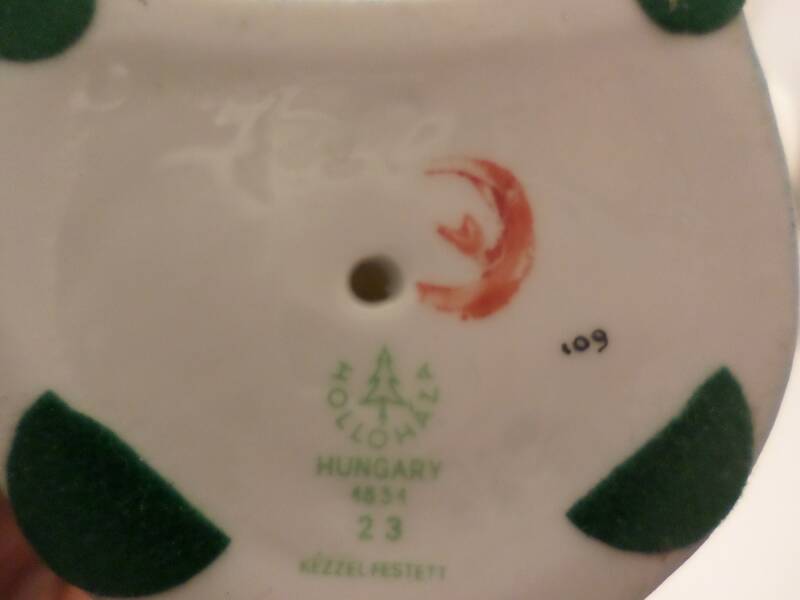 Hollohaza Hungary marked on the bottom 109 hand painted. 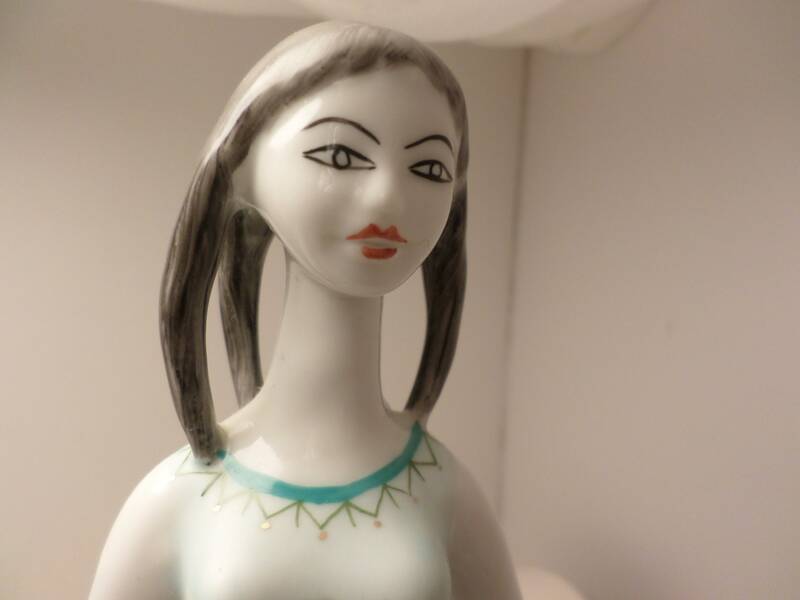 no issues cracks or damages.